Click here to read our interview with Javier Colon! JAVIER COLON is best known as the winner of NBC’s hit singing competition, The Voice. Coached by Adam Levine of Maroon 5, Colon took home $100,000 and a recording contract with Universal Republic Records. Colon started out in Connecticut writing songs in high school. He went on to pursue a degree in music education from the University of Hartford’s Hartt School of Music. While studying there, he was a vocalist and percussionist in the ensemble EmcQ. It was opening for Soulive with EmcQ that Javier was asked to audition for The Derek Trucks Band. He spent two years as the lead vocalist of the band before leaving to pursue a solo career. At 24 years old, Colon was signed to Capitol Records where he went on to release 2 albums, Javier in 2003, and Left of Center in 2006. 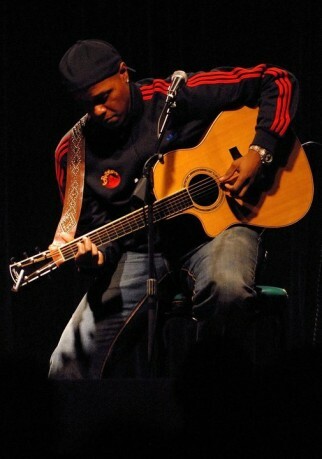 In April of 2011, Javier Colon made his debut on The Voice. He was one of two contestants who was pursued by all four judges, and he chose Adam Levine as his mentor. In June 2011, Colon won the show. Since then, Colon has gone on to release his latest, Come Through For You. The album features collaborations with Natasha Beddingfield, Adam Levine, and Kris Allen.